Watch out for the hungry worms!! They want a bite of those apples!! 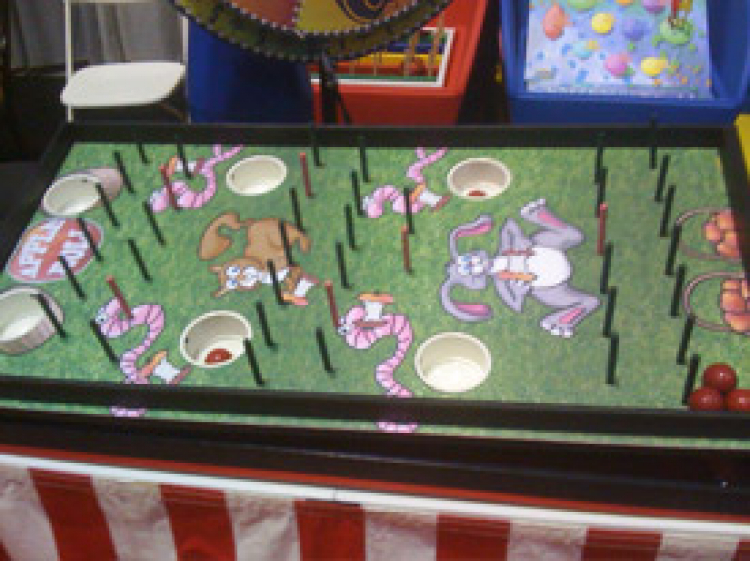 Players take the handles and tilt the game board back and forth in an attempt to roll the golf ball apples past the rabbit and the worms & land them safely in the baskets. Includes: Golf Balls.